Open Mind Art Space is pleased to present, "Consumed", a group exhibition featuring works by Los Angeles artists Vida Liu and Erika Ostrander. A reception for the artists will be held on Saturday, April 20th from 7:00 PM - 10:00 PM. The exhibition will be on view from Saturday, April 20th through Friday, May 17th, 2019. "Consumed" explores the notion of excess produced through the domestic environment. Piles of clothes that slowly take over the room, the never-ending buildup of printed paper under the car’s windshield wiper, or the weekly recycling dump of Amazon cardboard boxes and bubble wrap; all materials so present in our life, we almost don’t see them. Artists Vida Liu and Erika Ostrander are brought together in this exhibition by the physical process of shredding and compressing the materials that are in essence taking over one’s environment in order to give them new form. 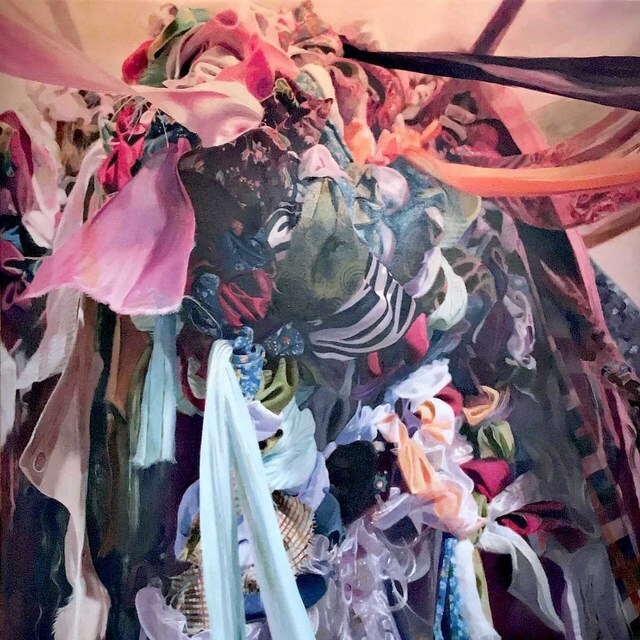 Liu does this through her highly rendered sculpture-portraits of friends and family’s donated clothing and her series Compressed Happiness as a way to physically contain accumulation. Ostrander on the other hand, breaks down the materials into pulp for her compression works, leaving only hints of a previous history. Together, the work in the exhibition transmutes the chaos and accumulation generated by today’s consumer culture. Liu grew up in Hong Kong, Vancouver, and Los Angeles. After graduating from USC with a Business Administration degree, she worked in the financial industry for many years. Liu later returned to school for a BA degree in Studio Arts from the Claire Trevor School of the Arts at UC Irvine, and then received her MFA degree from California State University, Northridge, where she has served as adjunct faculty since 2015. 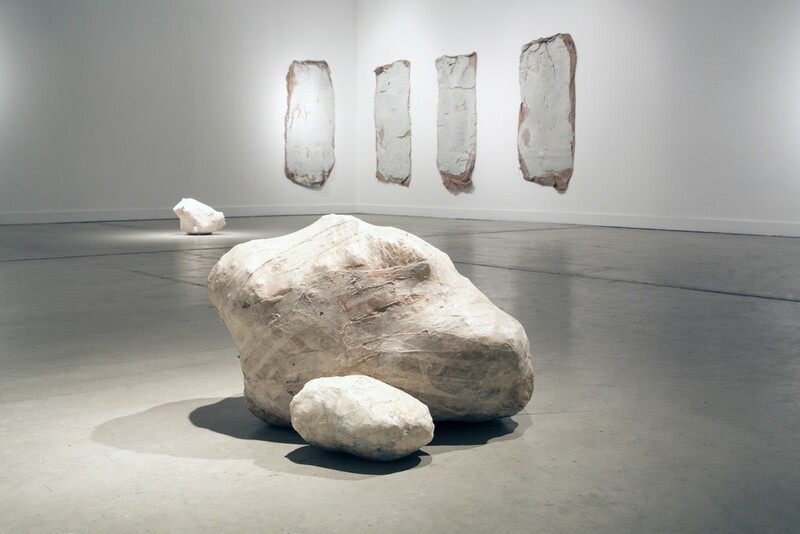 Erika Ostrander is a Los Angeles based artist, whose sculptures and installations reflect her engagement with the ephemerality of materials and the tactile and performative aspects of her work process. 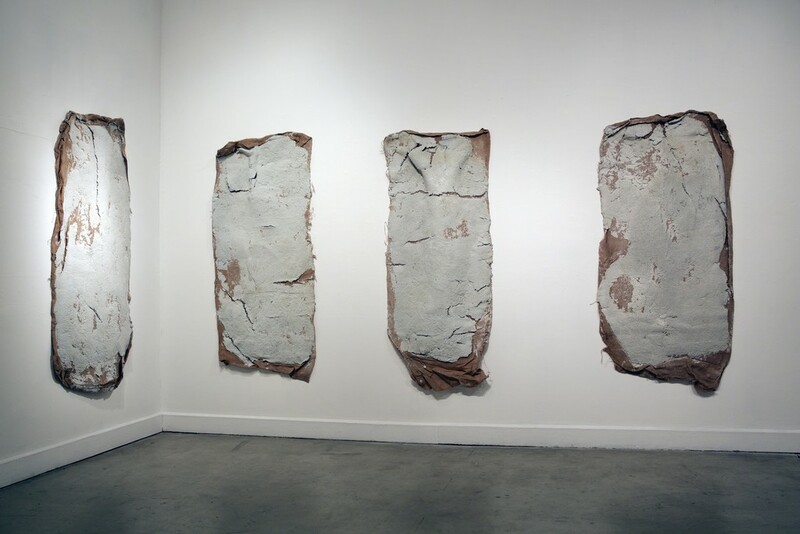 Incorporating materials such as human hair, salvaged print media, and animal tissue, Ostrander engages in the production of visceral objects that invoke the body's phenomenological relationship to the transformation of the organic materials with which she works. Ostrander currently works as the Exhibitions Coordinator for the CSU Northridge Art Galleries. 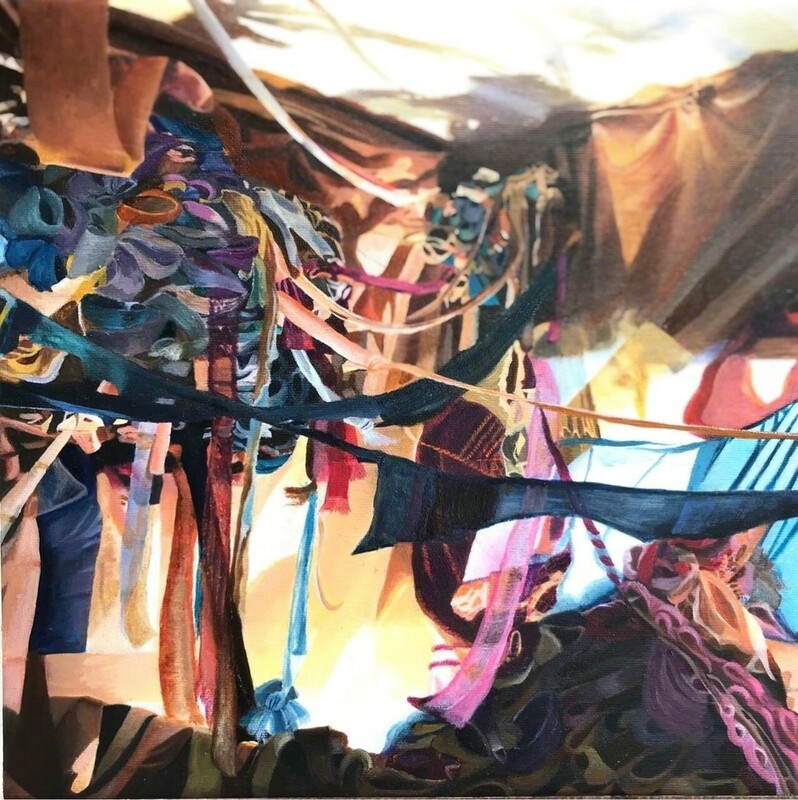 Her work has been exhibited at The Brand Library, Torrance Art Museum, Reserve Ames, Eastside International, and the Museum of Contemporary Art, San Diego, among others. Ostrander received her MFA from the UC San Diego in 2016; her MA in 2013 and BA in 2011 from California Sate University, Northridge.